Studio 18 kicks off an exciting season with a concert by the Barbetti Quartet in what is set to be a different take on music by perennial favourites Queen and The Beatles. Adam Brimmer puts some questions to director Joe Gatt. How was the Barbetti Quartet born? I had spoken to Jean Marc Cafá, artistic director of Studio 18, about the possibility of joining the collective back in 2014, after a brief hiatus from the musical theatre scene. We go way back, and our different abilities have always gelled. Jean Marc was aware that starting a barbershop quartet had been a dream of mine for ages, and we finally embarked on the project in 2017. 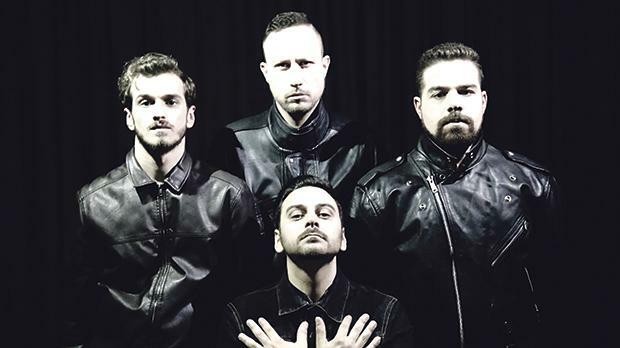 Initially, the band was composed of Daniel Grixti as bass, James Azzopardi Meli as baritone, Brian Dimech as lead and Kyle Mangani as tenor. We launched the group at Casino Maltese in December 2017 during a barbershop Christmas concert which was very well received. Today, two members have moved on to pave the way for Dean Zammit as lead and Luke Hili as tenor. In Malta, neither barbershop quartets nor a cappella singing are very common. How did your interest with this genre start? I’ve always been fascinated by, or rather, obsessively in love with harmonies. My understanding is they give so much depth and flavour to a melody line. With Barbershop, we have an avenue to create four-part harmonies without the need of musical accompaniment. To someone who is a sucker for harmonies, it’s the ultimate dream. When the harmonies shift from chord to chord, in those split seconds of dissonance, and when the music finally resolves, it is as close to ecstatic as it gets. Do you always perform a cappella or do you also get piano accompaniment? Which do you prefer? Currently, we’re focusing on a cappella. We hope to slowly shift towards classical barbershop rules and, who knows, maybe they compete somewhere internationally. I prefer a cappella work as I feel that using your own voice to create all the harmonies and ensuring these sound as one voice, is as intimate as harmonic work can get. It is a case of stripping everything from accompaniment and using your own voice to accompany the melody line. How do you describe yourrole as director, and what does it entail? Challenging, but fun. Since I’ve been very passionate about the project from its inception, I must admit this has helped the ‘typical’ role of director to come to me more naturally. It entails transcribing songs, and making sure I transmit what I feel to the group when working on those beautiful harmonies. I must say, they’ve been fantastic. 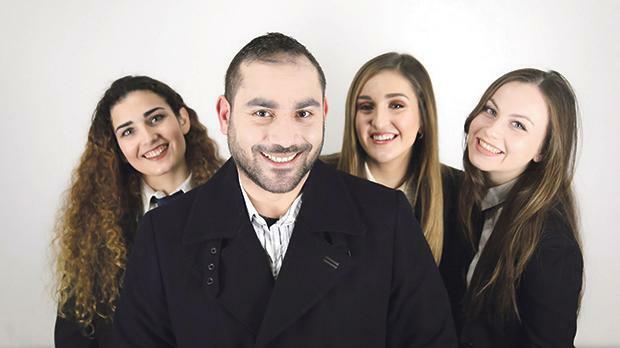 From left: Mattea Gouder, Joe Gatt, Michela Agius and Rebecca Attard. What are the biggest challenges of this style of music for the entire quartet? For this performance in particular, we’ve learnt 15 songs which include over 60 harmonies. Quite a feat! Furthermore, the repertoire ranges from those good old heart-wrenching ballads to up-tempo ‘fun’ tunes. However, the greatest challenge was not to learn the material, as we are fortunate to have an incredibly dedicated team. It was understanding what we’re trying to achieve and ensuring we feel what we’re trying to convey. And specifically, for you as director? My biggest challenge has been attempting to impart how I feel when I listen to barbershop quartets and choirs. I begin to harp on about chord resolutions and the fact that, although it’s a difficult technique, once it gels, the sound is seamless. Thing is, once I start explaining all that, I tend to ramble on for hours and I get lost, so I’ve learnt to keep my explanations brief. How big a chunk of your lives does the Barbetti Quartet take? Well as always, you kid yourself into thinking it is something simple, and you wind up with something much more bombastic. So, at the risk of the group reading this, I had initially explained that we would be rehearsing once a week. That lasted approximately two weeks and we’ve been meeting three times a week ever since. I would like to stress, though, that I’m very lucky; first of all, because of the support of my fiancée, who quickly realised that this group was not going to be a two-hours-a-week commitment. Secondly, the guys are an extremely committed group, and we’ve found a brilliant production manager in Robyn Vella, and three amazingly hardworking guest singers in Rebecca Attard, Mattea Gouder and Michela Agius. Above all, I’ve got the support of Jean-Marc, who’s just brilliant. What made you opt to focus on Queen and The Beatles for your upcoming concert, especially given that Queen are particularly known to be challenging? Rightly said, the genre is uncommon and distinctive. We needed something catchy to entice the potential audience. Just imagine if one of our premiere shows featured classical American barbershop songs. It wouldn’t have worked, although that’s close to one of the directions we’re aiming towards. Truth be told though, The Beatles do lend themselves to a four-part harmony as the chords allow for such arrangement. Queen, on the other hand, is a totally different kettle of fish. I won’t let out too much but wait till you hear what’s been done with Bohemian Rhapsody. Do you hope that this concert will raise the profile of this genre of singing? On a personal note, I hope it finally puts Barbetti on the local map, for starters, and that this is recognised as part of the incredible material generated by Studio 18. I hope the audience appreciates the intricacy of the genre and becomes enamoured of this type of music. I also wish that other people take the leap and that hopefully, our limited local market will see future collaborations. Barbetti go Bohemian takes place next Sunday at 8.30pm. Tickets are available online.